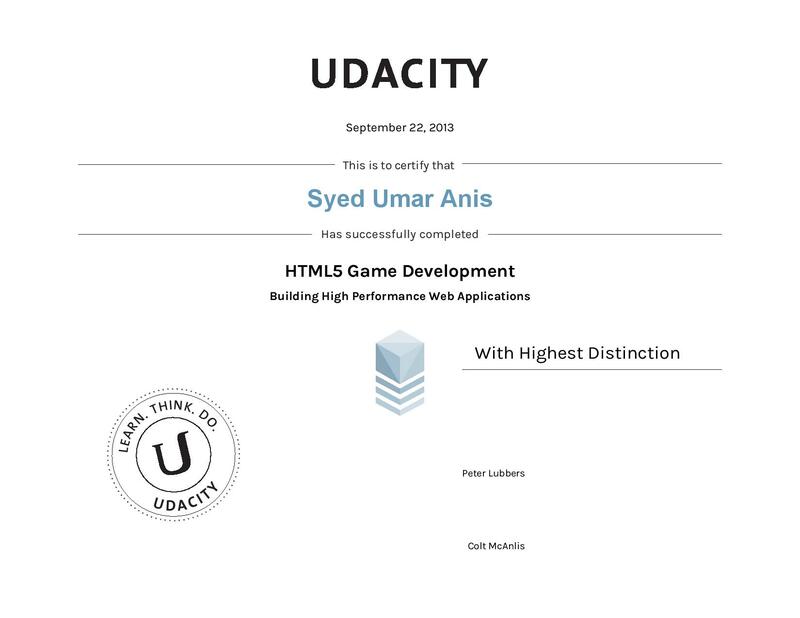 I have been taking Massively Open Online Courses at Coursera, but this is the first one at Udacity. The two platforms take different approaches… Coursera is more like a virtual classroom while Udacity feels like a very well designed interactive tutorial. Udacity is self-paced with very short video clips interspersed with questions and quick programming assignments. On the other hand, courses at Coursera start at specific dates and the assignments have deadlines. All students of a batch enroll in the class at the same time and discuss same topics on forums as the course progresses. This gives a more real university classroom like structure to Coursera.